Today’s guest is Charlie, a freelance editor, who blogs at The Worm Hole. Charlie lives in the south of England and has been blogging about books for five years. She is part-way through a history degree and is busy getting her editing business off the ground. You can find her tweeting @CarnelianValley. I find that after I’ve read a fair number of books, I forget a book I enjoyed, but Suite Française has stayed with me, there’s just so much to think about. It’s a completely character-driven, socially driven, almost, novel, a detailed commentary about the way class divisions don’t necessarily end when there’s a war. Even unfinished, it’s remarkable. But what’s stayed with me most is the fact that you’ve this study of the war being written as it happened. You’ve got this — rather generous, when you think about it — questioning of what we think of the enemy, the soldiers fighting this war. In many ways, we’re lucky to read it now rather than earlier because it has a greater impact than it may have if it had been discovered earlier. It was years ago now, when I was still at school; I remember wanting to buy a book for a friend and heading to the YA section. 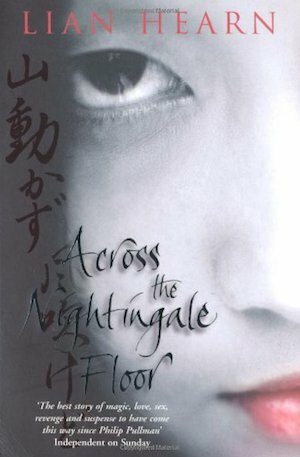 I saw Across The Nightingale Floor, and it was a case of wanting to buy it for my friend because I wanted to read it. It occurred to me that my friend didn’t read, that this whole idea had been silly, and I ultimately ended up buying it for myself. It’s about a boy, who we witness becoming an orphan, becoming the son of a lord before being kidnapped by blood relatives, who teach him that the strange things he’s felt in life — splitting in two, being able to be quiet — are a magical ability. The plot is about revenge, bloody revenge, and there’s a romantic element to it. I just loved it; I’d never read a book set in Asia before (though this is a historical fantasy) and it had an immediate impact. I read fiction set in Asia for the next few years, and nothing else. I’ve learned a lot and in time mixed in some non-fiction which I’m still enjoying today. 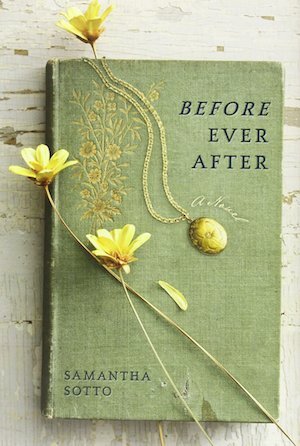 I’m well aware that Before Ever After isn’t perfect and that my particular reasons for liking it will not be shared with everyone, but the fantasy element is well-known and loved. The story is that a woman decides to join a group of strangers for a road trip, and the group leader, the later love interest, seems to know a great deal about the history. It’s full of European culture: art, history, and immortality is involved. The characters are quirky and the ending is slightly ambiguous — you can work out what likely happens but there’s scope to explore the possibilities. 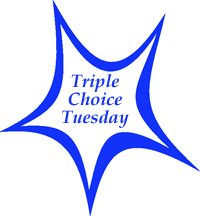 Thanks, Charlie, for taking part in my Triple Choice Tuesday! What do you think of Charlies choices? Have you read any of these books? 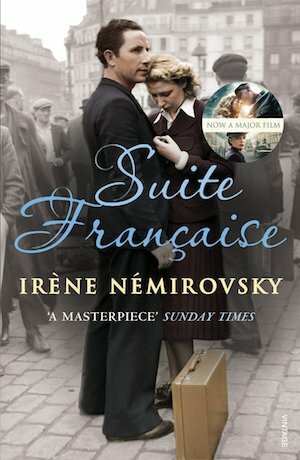 Suite Francais is also one of my favourite books of all time. I’m due for a re-read soon but it’s currently out on loan. I’m glad to know that… I want to read this book very soon. I believe the film’s been out for a week, so you may want to add your name to the list. How nice to be reminded of Lian Hearn’s Tales of the Otari series – I remember being totally engrossed in feudal Japan and the wonderful characters. Hearn is Gillian Rubinstein’s pseudonym for her adult novels – have just visited her web page and she published a new novel about a Japanese storyteller early last year. Another one for the TBR pile. Rubinstein emigrated to Australia from England in the early 70’s. Have you read any of her adult novels? I’ve always wondered how they compare. I absolutely agree with her comments on Before Ever After – it’s a wonderful book and more people should read it!! There’s certain uniqueness to it that really works; I’ve often thought it a pity she’s not written anything else.